Celebrities and politicians attend the dedication ceremony of William S. Hart Park in Newhall on Saturday, Sept. 20, 1958. 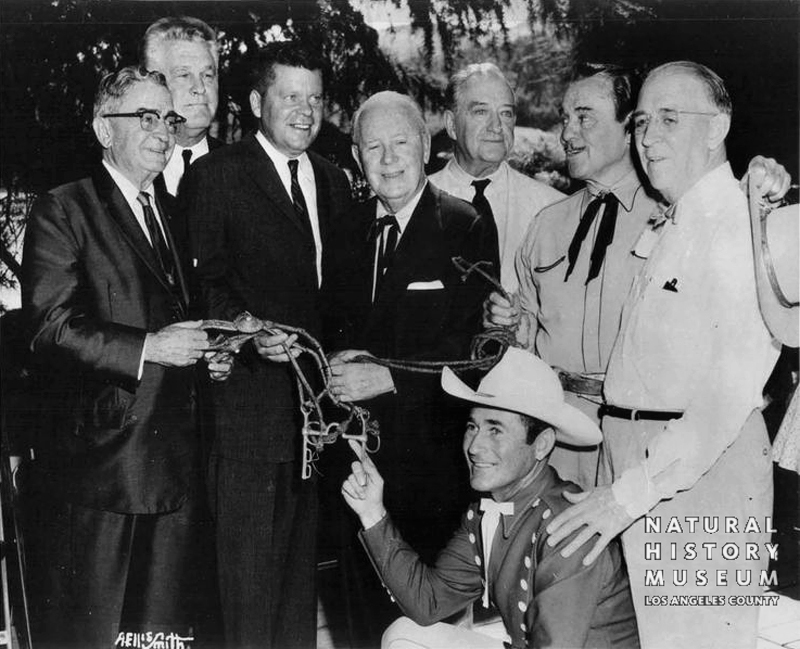 From left: Sheriff Eugene Biscailuz, actor Guinn "Big Boy" Williams, Supervisor Warren Dorn, Francis Gudger, actor Francis X. Bushman, actor Leo Carillo, Supervisor John Anson Ford, Montie Montana (kneeling in front). MU0189: Online image only | Natural History Museum of Los Angeles County's Seaver Center for Western History Research, Catalog No. GPF-0189.